University of Abuja, UNIABUJA UTME Admission List for 2018/2019 Academic Session Uploaded Online on School Portal. 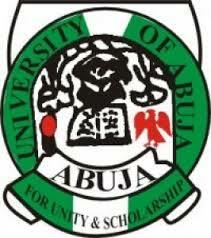 The University of Abuja (UNIABUJA) has released the admission list for 2018/2019 academic session . Prospective students can access their admission status on the school website and the Joint Admissions and Matriculation Board (JAMB) Central Admission Processing System (CAPS) portal. Candidates that made UNIABUJA their institution of choice in the 2018 UTME and participated in the Post UTME screening exercise should follow the procedure outlined below to know their status. Kindly log on to UNIABUJA admission status checking website via https://portal.uniabuja.edu.ng/index.php/new/Checkadminstatus. SEE ALSO: UNIABUJA Approved School Fees Schedule 2018/2019 [Undergraduates].